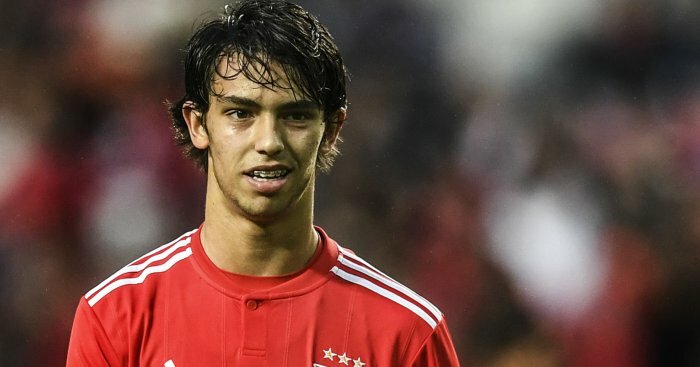 Benfica are preparing to insert a huge release clause in the contract of in-demand attacking midfielder Joao Felix, according to a report. 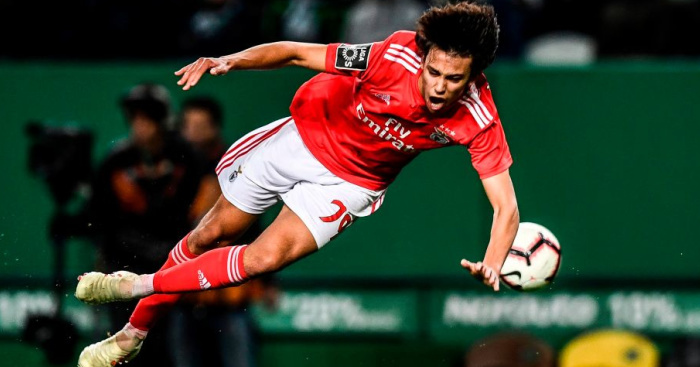 The impressive 19-year-old is being admired by clubs from all over Europe and he was in good form yesterday coming up with an assist and a goal in Benfica’s 10-0 romp over Nacional. Felix can play as a second striker, right or left winger, and as an attacking midfielder and his flexibility and undoubted talent has attracted interest from abroad. 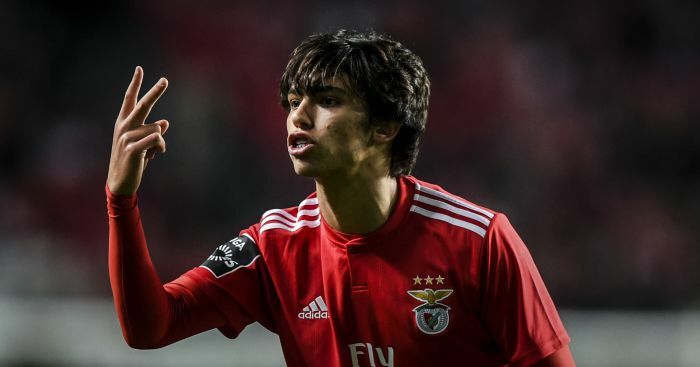 A Bola report that Benfica are very well aware of the interest from the likes of Liverpool, Bayern Munich and Real Madrid and they want to take full financial advantage from the possible sale of the player. 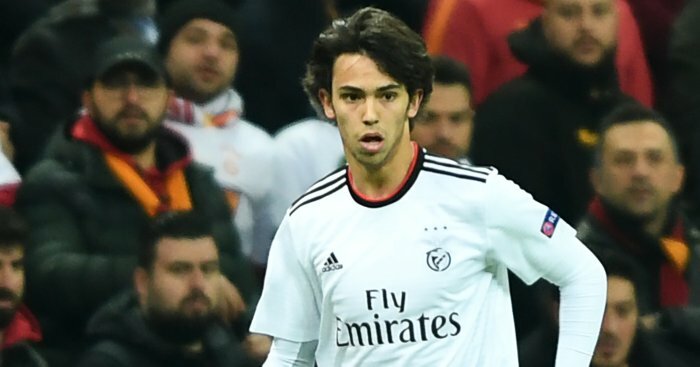 The Portuguese paper claim Felix currently has a release clause of €120million, but Benfica are planning to increase it to as much as €200million with Real Madrid sniffing around the Viseu-born player. Borussia Dortmund, Atletico Madrid, Manchester United and Barcelona are also interested, but the source claims Felix’s biggest fan is Juventus ace and fellow compatriot Cristiano Ronaldo. 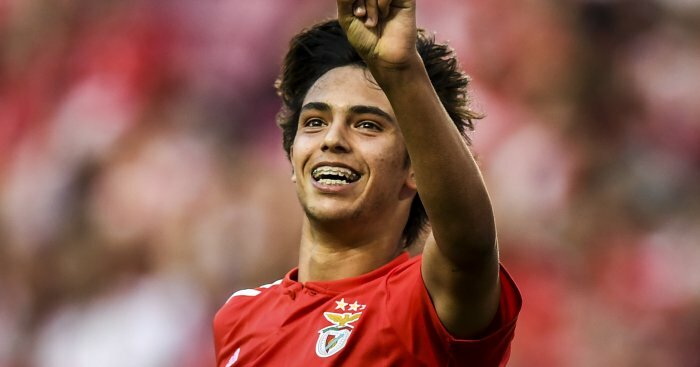 Portuguese source Record recently claimed that Manchester United had been scouting Felix and are considering making a move for the player in the summer. Meanwhile, Liverpool are understood to have seen a mammoth £61million approach for Felix rejected. Earlier in the month the Daily Mirror, citing a report in Portuguese paper Correio da Manha, claimed the Reds submitted the offer but saw their efforts flatly rejected by the Portuguese giants. While, Chelsea reportedly sent scouts to watch Portuguese trio Felix, Ruben Dias and Bruno Fernandes in the Lisbon derby recently. Portuguese outlet O Jogo claims that the Blues are the latest side to weigh up a move for Felix. Felix, who is under contract until 2023, has scored and assisted in his last three Super Lig games and has nine goals and fives assists from 23 appearances in all competitions this season.